It was with extreme sadness for the Gore 4 to learn of the passing of Scott Wilson, legendary character actor, who played beloved veterinarian, Hershel Greene, on AMC’s The Walking Dead. Wilson died of leukemia in Los Angeles on October 6, 2018, the day before the The Walking Dead began its 9th season. The episode, entitled, “A New Beginning,” was dedicated to Scott. It had also just been announced, at New York Comic Con, that Wilson, whose character died at the end of season 4’s mid-season finale, but has appeared twice since then in flashbacks, would again be making an appearance this season, in what has been promoted as being the final episodes for star Andrew Lincoln’s lead character, Rick Grimes. While this will certainly mark a turning point and major changes for the show, as it looks to maintain its high level of viewership, it was during the show’s second through fourth seasons, where Scott Wilson’s Hershel was such an integral character, where the series achieved its greatest success. Scott Wilson was born in Thomasville, Georgia, located a few hours south of Atlanta, in 1942. After studying architecture for a spell, he decided to head West and he hitchhiked his way to California, where he caught the acting bug and began performing in local theater before landing his first film role. Not every actor makes his screen debut in a Best Picture Oscar winner, but Wilson did. portraying a murder suspect in 1967’s In the Heat of the Night, the Sidney Poitier classic that won a total of five Academy Awards, including Best Actor for Rod Steiger as a racist police chief. 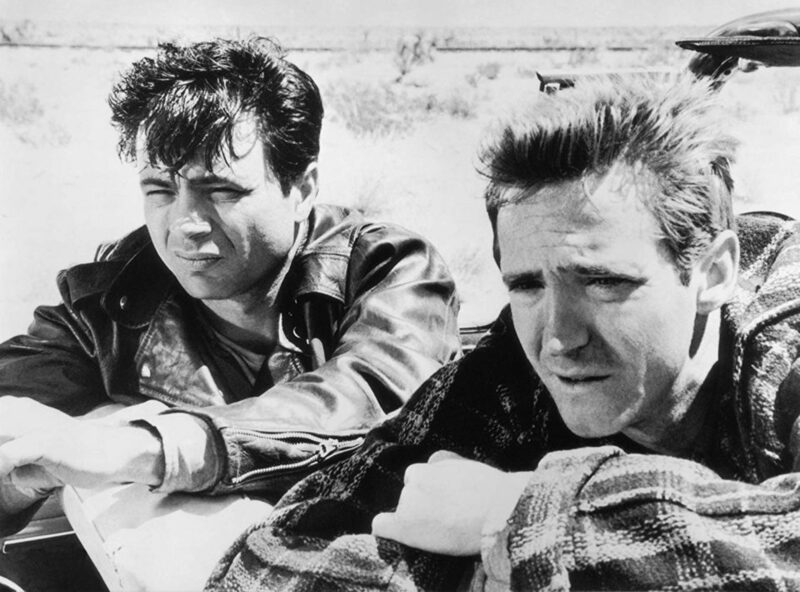 Scott followed that up with another acclaimed film, In Cold Blood, based on the true-life crime novel by Truman Capote. In the movie, Scott plays Richard Hickock, who, along with his partner, Robert Blake’s Perry Smith, kill an entire family in a robbery gone wrong and go on the lam before being caught by police. Wilson had recounted in later years how director Richard Brooks wanted two unknown actors to play the murderers to add to the sense of realism in the depiction of an actual murder case. 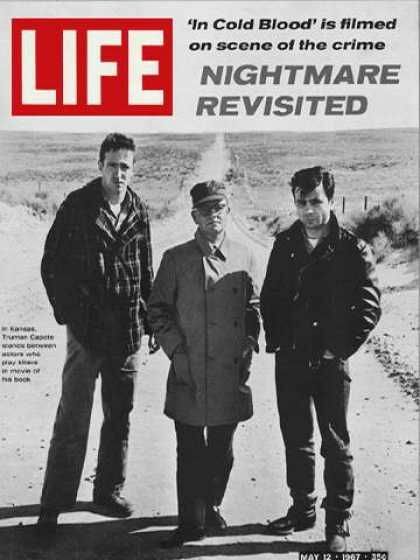 It was a major role for the fledgling actor, who was only 25 at the time, and it even landed him on the cover of Life magazine, quite an achievement for someone so young. For those who know Wilson solely for his role as the gentle, warm, gray-haired and bearded Hershel on The Walking Dead, it must be a revelation to see him play such ruthless criminals, clean cut and so young in those early roles. Fans are encouraged to seek these films out to get a fuller picture of the man’s acting range. Though off to an auspicious beginning to his career, immense fame may not have been in the cards for Wilson, but continued terrific work in acclaimed films continued, from The Great Gatsby (1974) opposite Robert Redford, to two films which won Academy Awards for their lead actresses, Dead Man Walking (1995), for Susan Sarandon, and Monster (2003), for Charlize Theron. In 1980, Scott would nab a Golden Globe nomination himself for William Peter Blatty’s The Ninth Configuration, based on Blatty’s own novel, Twinkle, Twinkle, Killer Kane. In the film, Wilson portrays a former astronaut who has descended into madness. The film actually began development before Blatty’s monumental collaboration with William Friedkin, the supernatural horror, The Exorcist (1973). It marked the beginning of a long friendship with Blatty, who would again cast Wilson, along with a number of Ninth Configuration actors, including Ed Flanders and Jason Miller, in the sequel, The Exorcist III (1990), starring George C. Scott. In the film, which proved to be a much worthier follow-up to the original classic than was its immediate sequel, Exorcist II: The Heretic, Wilson plays the cigarette-obsessed head of a psych ward. 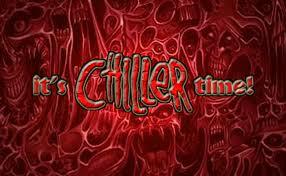 The film that audiences saw faced studio meddling, and was not released in the form Blatty had intended. At least not until 2016 when Scream Factory released a special edition of the film with Blatty’s original cut restored to the best of their ability using other sources, as much of the original elements had been unfortunately lost. In addition to Blatty’s films, Wilson would appear in other genre pictures and television shows, including the 80’s The Twilight Zone, The X-Files season 7 episode, Orison, the Korean monster movie, The Host (2006), and more recently, the Netflix series, The OA and Fox’s recent short-lived The Omen follow-up series, Damien. Other big screen roles for Scott included The Right Stuff (1983), Pearl Harbor (2001) and the violently fun, The Way of the Gun (2000). 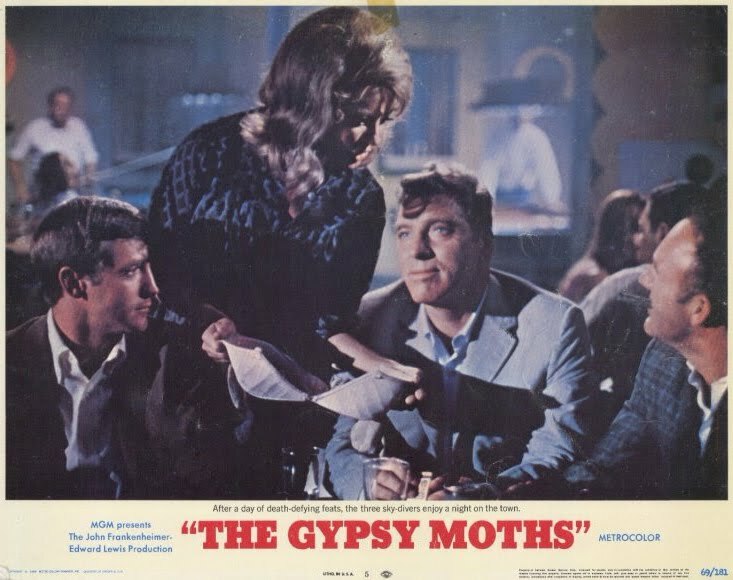 A particular fav of this Gore 4er is an early work, 1969’s The Gypsy Moths. In it, Wilson joined acting legends, Burt Lancaster and Gene Hackman as a trio of barnstorming skydivers in the Midwest. Directed by John Frankenheimer, the film also starred Deborah Kerr, William Windom, Sheree North and a very young Bonnie Bedelia. For only his fourth film, Wilson more than holds his own opposite two screen heavyweights. In more recent years, Scott portrayed the father of Marg Helgenberger’s character’s in CSI: Crime Scene Investigation. But it was his iconic role of Hershel in The Walking Dead that brought Wilson a whole new legion of fans. Introduced in the show’s second episode of the second season, Wilson played a kind veterinarian trying to hold his family together on a farm essentially isolated from the surrounding zombie apocalypse. He also holds a twisted secret that is eventually uncovered when former Sheriff Rick Grimes and company disrupt their relatively quiet lives. Wilson would stay on the show for another two seasons, ultimately meeting his end at the end of the Governor’s blade. It would be the most horrific and gut-wrenching moment of the show, at least until a certain barb-wire bat wielding psychopath came along. Wilson’s Hershel character had become the moral compass of the show, which, as any fan of TWD has come to realize, usually means a violent end is not very far away. It was in the show’s fourth season episode, Internment, where Scott Wilson delivered not only one of the best performances in the series’ run, but one of the most powerful. moving tour de force’s in the history of television. 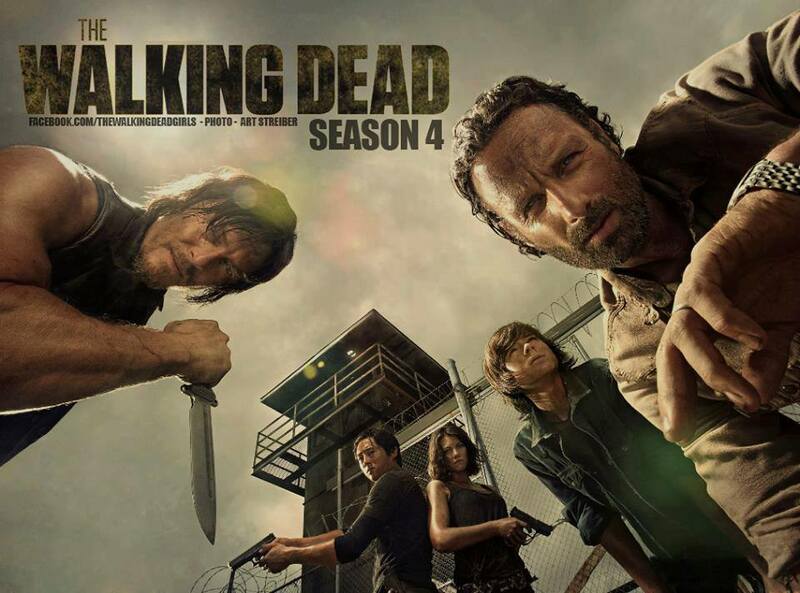 In the episode, which takes place in the prison where Rick and the gang have sought refuge, Hershel is forced to help those sick and dying from a deadly outbreak while hordes of the undead pose a threat at every corner. Having lost a leg himself to a walker bite a while back, Hershel is mostly left alone to tend to his bed-ridden patients while the others are off attempting to reinforce the prison’s defenses. Here is an actor in his 70’s who must go from quiet scenes where he is comforting victims to full-on action sequences where he is fighting off and killing zombies. 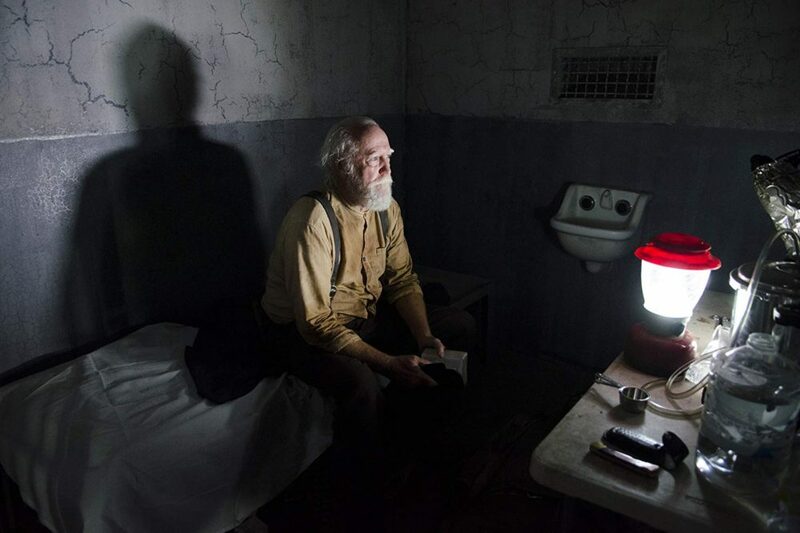 As stated above, it is tour-de-force performance that ends in the most heart-wrenching way as Hershel, back alone in his prison cell room after an emotionally exhausting day, breaks down and cries. It is the Emmy Awards’ most egregious oversight that they didn’t reward Wilson with even a nomination for Best Supporting Actor for this extraordinary performance. That such a mentally, and physically demanding role was done by a septuagenarian actor made it even more amazing. Alas, The Emmys have dropped the ball on numerous occasions throughout the years, from failing to award Best Drama to NBC’s St. Elsewhere to virtually ignoring HBO’s acclaimed The Wire throughout its entire run. But Walking Dead fans know that Wilson deserved a platitude of recognition for his work on the show, and this episode in particular showcased his abilities to the max. The humanity he brought to the series carries on in those still remaining, although it remains to be seen how much of that still exists in daughter, Maggie. Still, Hershel’s legacy will live on in The Walking Dead, in spirit, and, as revealed in the season 9 opener, in name as well. 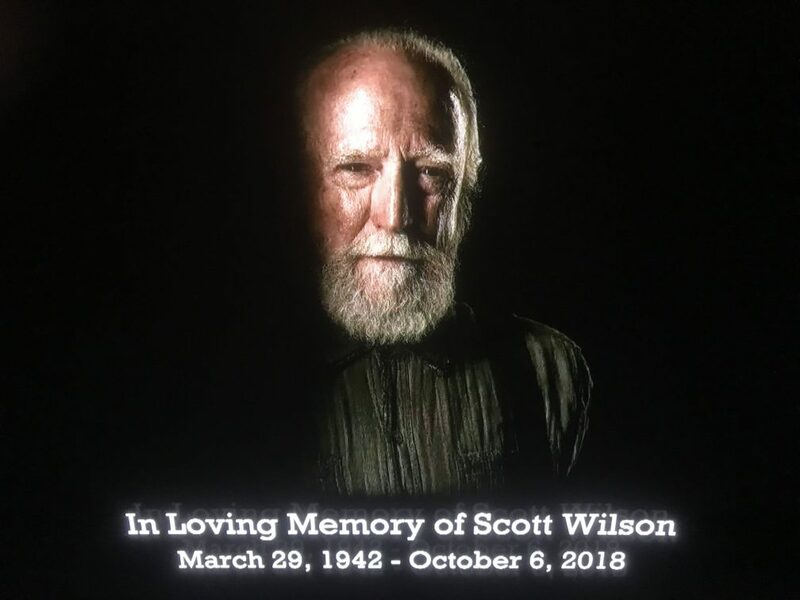 Scott Wilson not only was a tremendous actor in his own right, he supported the art of acting as well, as a SAG-AFTRA member for over 50 years, including serving on its national and Hollywood division boards. In 2007, the Screen Actors Guild presented Wilson with the Ralph Morgan Award, given to distinguished service. Said SAG-AFTRA president, Gabriele Carteris, “Scott’s career embodies the inscription on his Ralph Morgan Award: ‘devotion to the cause of actors, courage to fight for the right, and sacrifice of self for others.’” Scott was also devoted to his many fans, and appeared frequently at comic, horror and Walker Stalker conventions his last number of years. The Gore 4 was incredibly honored to meet this humble man at Chiller Theatre in Parsippany, NJ in October of 2013. Knowing full well his character’s demise would air on the show in just a few weeks, Scott never revealed a smidgen of spoiler to the hundreds of fans who lined up for autographs and photos. This Gore 4er will never forget patting him on the shoulder and saying, “I worry about you on the show,” to have him declare, “I worry about me too.” It’s a further testament to his acting skills that he could make it through a weekend of fans and never let on as to his character’s soon-to-be-revealed fate. 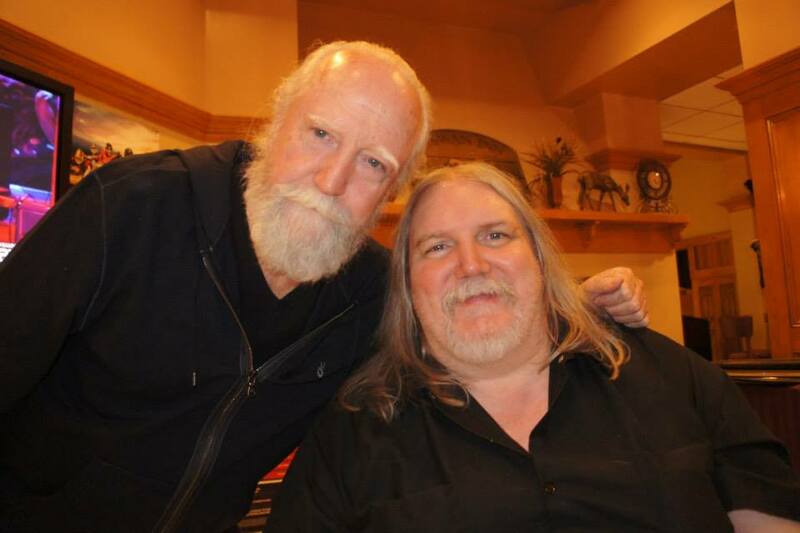 We offer our thoughts and condolences to all of Scott’s fans, from The Walking Dead, and beyond. And to his lovely wife, the enchantingly named, Heavenly. As we look forward to his upcoming reappearance on this season of The Walking Dead, it’s time to also look back at all of his memorable performances of the past, as his impressive body of work, and the impression he left on so many people, lives on. — remembrance by Brian de Castro. Here’s a slew of Instagram posts by various Walking Dead cast members and more, from Jon Bernthal and Laurie Holden to Chandler Riggs and Steven Yeun, paying tribute to Scott Wilson. He clearly meant so much to so many.